The new offer is the first to be jointly launched since The Phoenix Works as acquired by Tonik Energy's parent company in September. 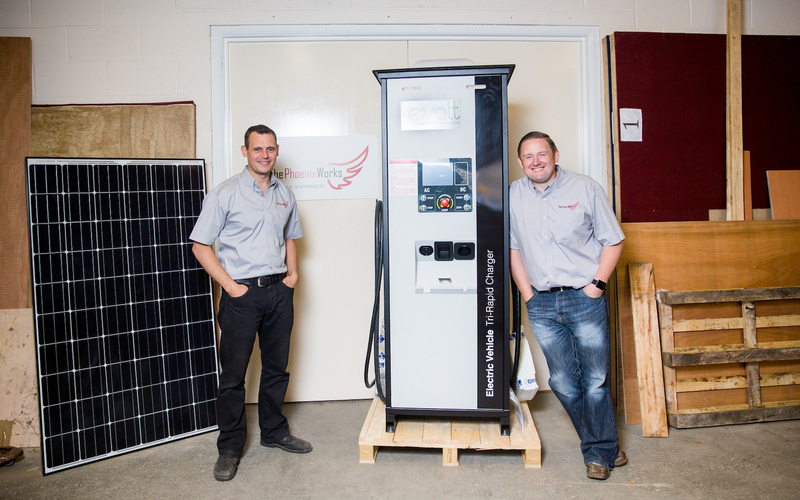 The solar installer, which also offers EV charging and battery installations to homes and workplaces, will work with Tonik on the combined offer of EV charger installations as part of an open, subscription-free network with ongoing support and maintenance, supplied with the option of 100% renewable energy. The new enterprise follows the acquisition of the renewables contractor by RETIG, the parent company of clean energy supplier Tonik Energy, in September when the two set a goal of installing more than 10,000 EV charge points and deploying a “mass market” solar-plus-storage solution for homes and businesses over the next three years. Tonik Energy says the new offer will solve two main problems in the EV charging market, namely upfront costs and reliability. The former will be addressed by the pair removing these costs and offering a charging service plan from just £1 a day while allowing organisations to set their own tariffs and retain all revenue generated. “It’s a pretty simple, but effective incentive for us to provide the best solution and keep our chargers up-and-running,” Thomas said. The deal with Tonik Energy is the latest sign of diversification for The Phoenix Works, which began as a solar installer back in 2010. Since then, has adopted a range of additional technologies to bolster its service, particularly with EV charging which has seen the company take part in projects with EDF Energy and Gnewt Cargo, which was briefly home to the UK’s largest single site install of electric vehicle chargers. “A new energy age is just around the corner and we want to be there, leading the charge, facing it head on. We are optimistic about the future because we have the technology and experience, so we know what’s possible,” Thomas concluded.